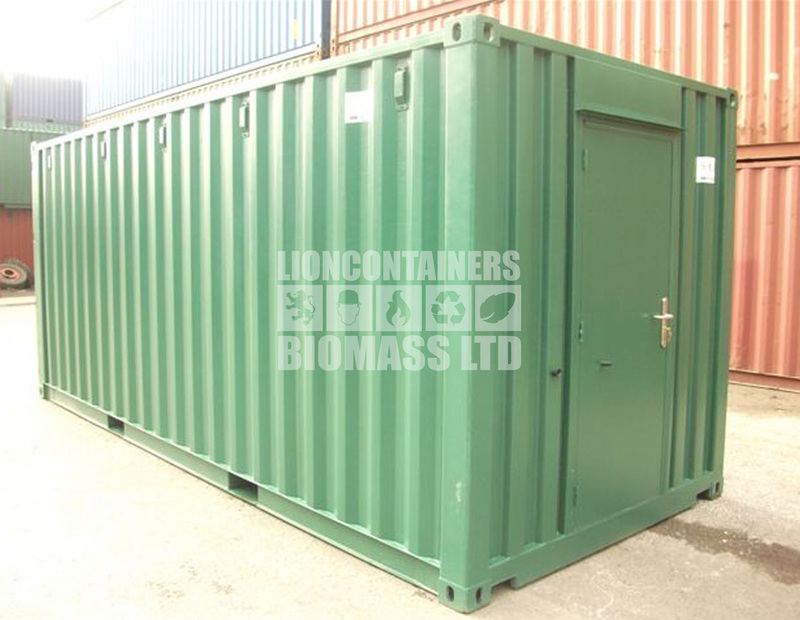 Lion Containers (Biomass) Ltd can offer shipping containers to the biomass industry for a variety of applications but primarily for either a portable fuel store or for conversion into a complete, self contained installation. Lion Containers (Biomass) Ltd can offer shipping containers to the biomass industry for a variety of applications, but primarily for either a portable fuel store or for conversion into a complete, self contained installation. 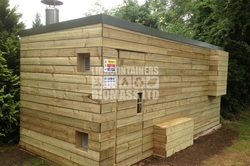 We can offer a wide range of Biomass or Biogas stores; either as ‘off the shelf’ or bespoke units. 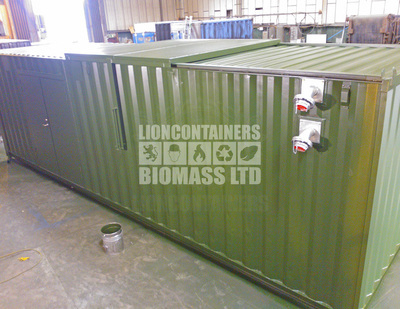 The growing need for renewable and sustainable energy has put Lion Containers (Biomass) Ltd on the map as a one stop shop for biomass boiler housings; Lion Containers (Biomass) Ltd use all their energy so you don’t have to! 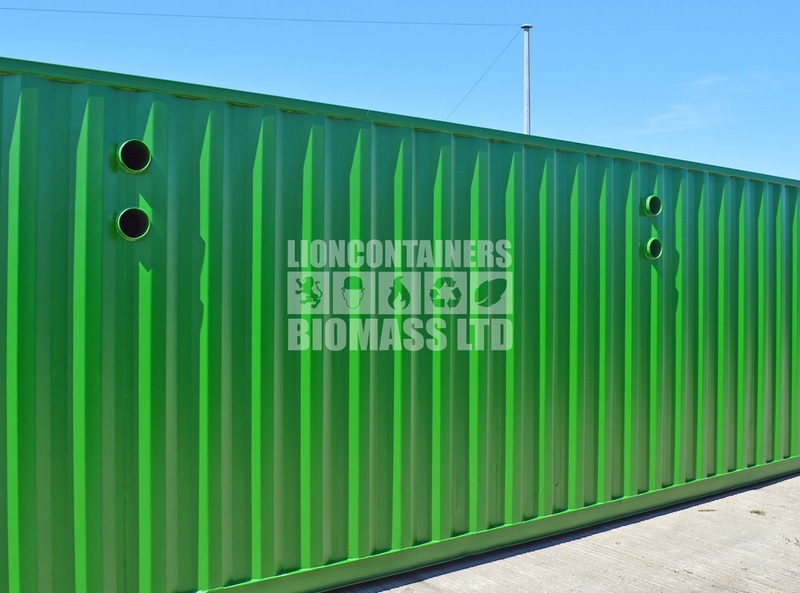 We have created a handy Biomass Shopping List so that you can state your specification, and send straight to our sales team. 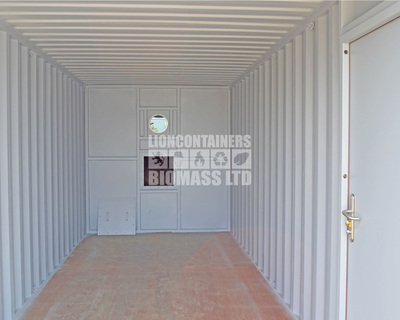 As pointed out by the Biomass Energy Centre, without conversion the shipping container can “offer a convenient means to deliver and/or store biomass”. 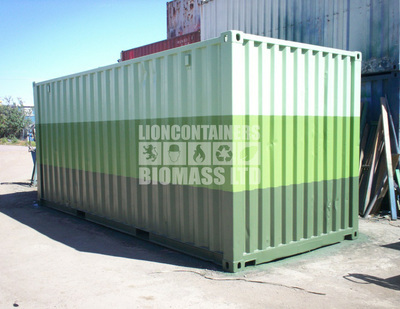 However, with conversion, the container can meet the criteria for an efficient fuel store. All of our biomass housings are available in 10ft, 20ft and 40ft lengths. 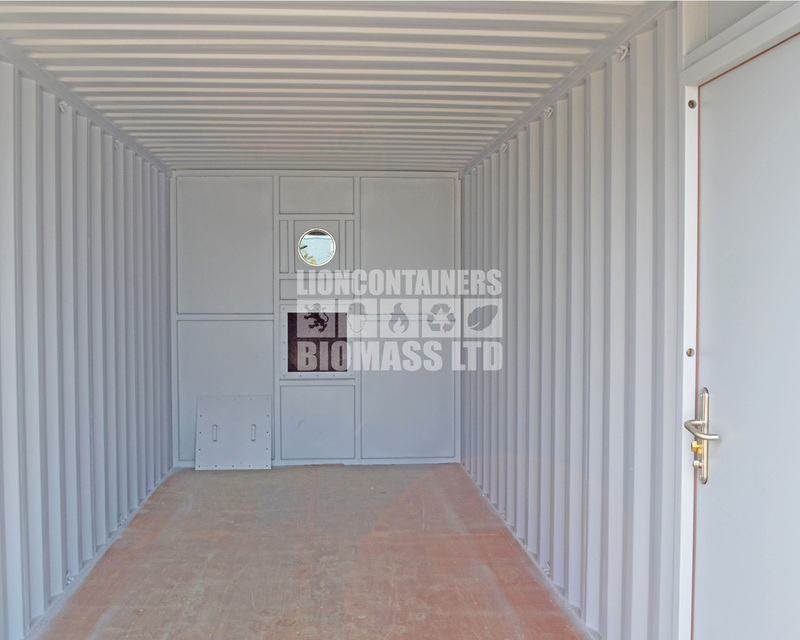 The shipping containers that provide the shell to the boiler housing can be further converted to create any size up to 40ft long, 8ft wide. 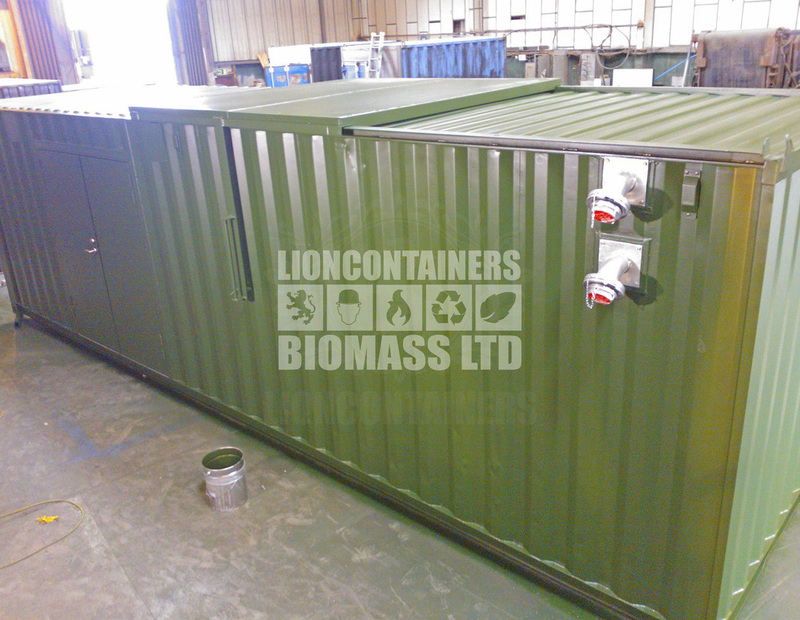 As well as the standard 8ft 6ins container height, High cube container options provide an extra 1ft, therefore, 9ft 6ins height for your biomass boiler housing. 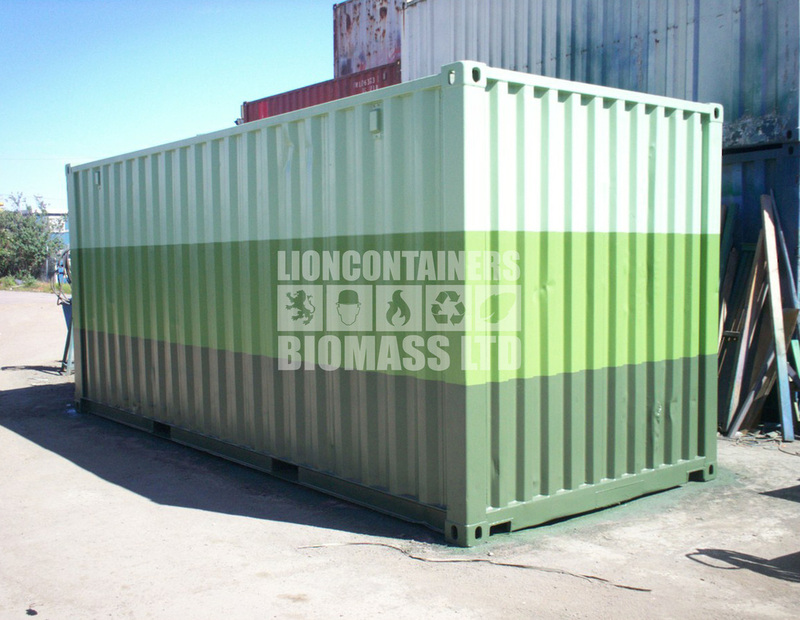 Lion will forever have its mark! 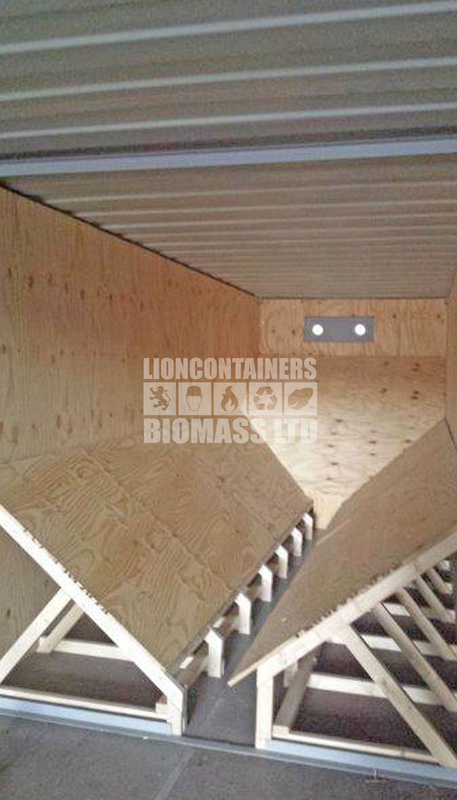 Lion will forever have its mark on the most northerly biomass pellet store in the uk.